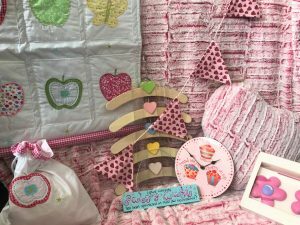 For a limited time only, we are giving away £50 kids bedding and bedroom accessories voucher with all bed orders! Once you have purchased your bed, simply contact our team to receive your unique voucher code. This voucher can be used on a variety of products, including duvets, quilts, pillows, duvet covers and duvet sets. Not only can this voucher be used to purchase bedding it can also be used to purchase a range of our beautiful bedroom accessories. Including, hanging organisers, laundry bags, door hangers, wall clocks and more. Designed to help you gather everything you need for your new bed this voucher can only be used once per customer. All items you choose will be delivered with your bed on the day of delivery, meaning that everything is ready to use straight away. Did we mention FREE assembly? We also provide FREE assembly with all beds and furniture, yep! That means no flat pack stress for you! Our expert assembly team will put the bed together for you free of charge in the room of your choice. Unlike other bed and furniture companies on the market, our beds are built to last. Many of our customer report passing their beds through generations, we choose only the highest quality of hardwood and material for our beds meaning that they are built to last. In fact, it’s not often that we get reports of our beds breaking or deterring because of low quality. Over the years, we have refined our beds to the durability that they are today. From the hardwood the beds are made from, to the assembly and manufacturing techniques used. Most of our manufacturing team have been working in our factory for 30+ years! Meaning that every technique is refined, our guys really know what they are doing! Which Children’s Bed will You Choose? For a limited time only we are offering a £50 voucher with all kids’ beds ordered. What bed will you choose? Cabin Bed – A perfect choice for storage, our kids cabin beds are made with either three, six, or nine drawers! Meaning that your little one can have all the clothes and toys they want right? (Well… we will leave that up to you!). Most recently added to our cabin bed collections are our Cheyenne, Armada and Sierra Cabin Bed Collections. Each bed has been expertly designed with plenty of drawers (The Armada Cabin Bed has NINE!). Meaning that you don’t need to worry about storage, having a bed with extra storage is perfect for smaller bedrooms where space is an issue. Many of our customers comment that our cabin beds are perfect for box rooms or attic bedrooms. “I bought this cabin bed for my 5 year old little girl as she was getting too big for her cot bed. After looking around a whole range of places for beds I came upon the CBC for children and am so pleased that I did. The cabin bed is perfect for small bedrooms that haven't much space- the cupboards and drawers are an excellent storage spaces and the quality and build of the bed is of an extremely high standard and looks lovely in the White Finish. Overall I am really really impressed with the bed and mattress that was ordered- even more so when it was on offer! Would highly recommend to others!” – Warrenator, purchased White Cabin Bed. Kids Four Poster Bed – Ideal for a little Prince or Princess, our range of Four Poster Beds are ideal for creating an elegant and regal feel to a bedroom, plus with your £50 voucher on bedroom accessories you can splash out on our on our range of voile curtains to complete the look! Our range of Four Poster Beds are available with a range of storage options, including two under bed drawers or three under bed drawers and cupboard. Tent Beds – Perfect for creating an exciting environment, our tent beds give you the option of having storage underneath, or creating a play den for your little one! Use your voucher to purchase netting or curtains to create a small space underneath to create a play den for your little one. Once they have grown out of the play den, the tent bed creates a space underneath that drawers or boxes can be added to create room for storage of clothes and other items. Also included in our range; Storage Beds, Captains Beds, Study Beds and Toddler Beds. We have a range of beds available to suit every need and décor. So, which bed will you choose? Order soon to claim your £50 voucher!